This model is an original design. 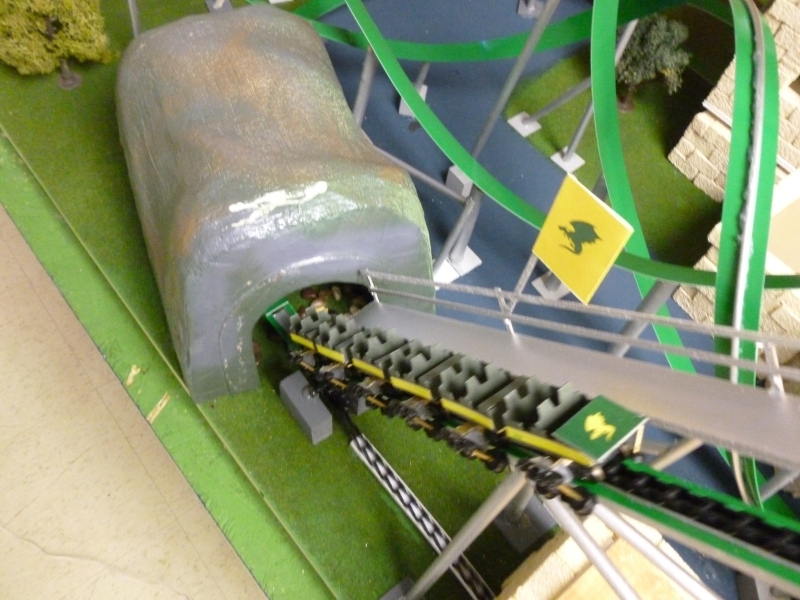 This model was built for the 2012 Maker Faire at Kansas City's Union Station. I had always wanted to do a dragon/medieval themed coaster. One of my longest models so far, it features a double loop threaded by a double interlocking corkscrew. These inversions are connected by what I call a Dragon's Tail loop. 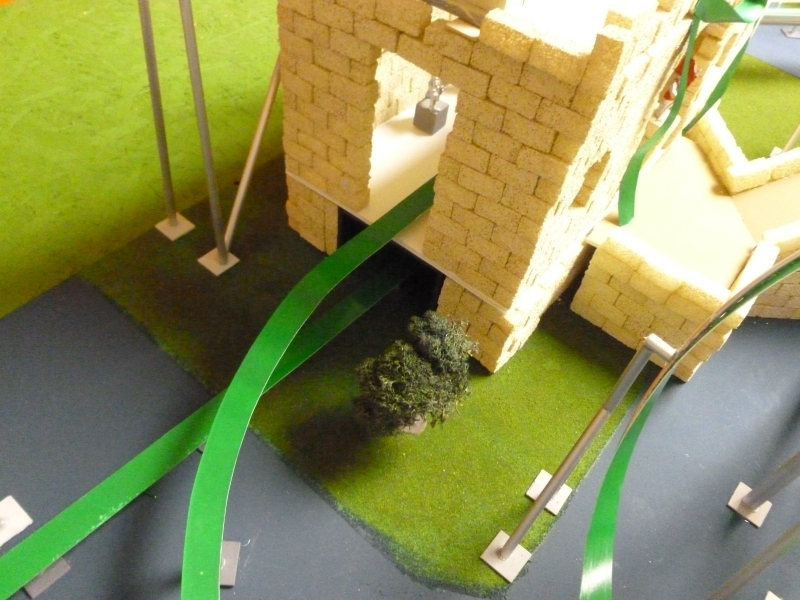 Also features an overbanked turn, a pass under the castle and the Dragon's Cave at the beginning. The finale is an undulating 570- degree helix. It was inspired by the availability of Medieval items at the craft store.